Prepare to be amazed by this aerial tour of the USA state of Utah, compliments of RobSkyHigh. The video was shot with a combination of the DJI Mavic Pro and Mavic Pro 2 drones, and contains some excellent timelapse footage. Most of the video was shot in the portion of the state covered by the Rocky Mountains, with some footage of its desert portions as well. This piece was chosen as a Finalist for the Drone Video of the Week contest in April, 2019. 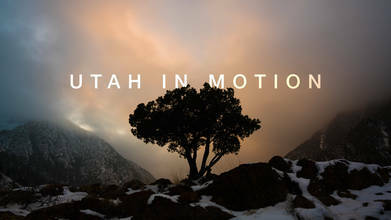 Description: The spectacular beauty of Utah put in motion. Shot with Mavic 2 Pro, Mavic Pro, PolarPro neutral density filters, Sony a7rII & Edelkrone slider. Post production with After Effects, NEAT Video noise reduction and Premiere Pro. Hope you enjoy it!